One Fat Frog Restaurant Equipment established in 2005. The Frog started as a one-room restaurant equipment business and we understand your pains as a small business. 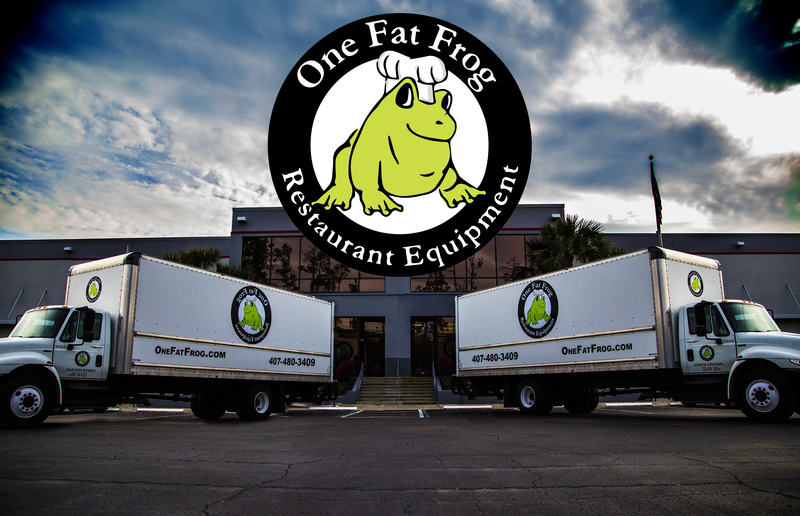 In just ten years, One Fat Frog is Florida’s largest food service & restaurant equipment dealer. We meet the demands of the food service, restaurant and hospitality industries as the preferred vendor for many: local, independent, franchise, corporate and startup. We provide affordable restaurant equipment, hot line, cold line, hoods, walk ins and food trucks. Our passion is startup and in the evolving food service industry- this translates to a natural inclination to the independent entrepreneurial spirit of mobile food trucks and trailers. With our team we provide custom kitchens to food trucks and food trailers- providing mobile food entrepreneurs the cooking space required to cook their delicious meals. We aim to simplify your restaurant equipment experience. To work closely with entrepreneurs- helping them to build their dream. One Fat Frog provides the best commercial kitchen and restaurant equipment available for restaurant, food truck, and food trailer owners at great prices. VALUE. We provide solid restaurant equipment. HONESTY. We create an environment based on honesty. INTEGRITY. We sell with integrity. We have helped launch countless restaurant and food trucks over the past 12 years, and we want to work with you. Whether you have a few question about what we do or you just want to learn more about us, feel free to fill out the form below. If you are outside the United States, please add a country code. If you chose "Client Referral" or "Employee Referral," please indicate who referred you in the comment box below.